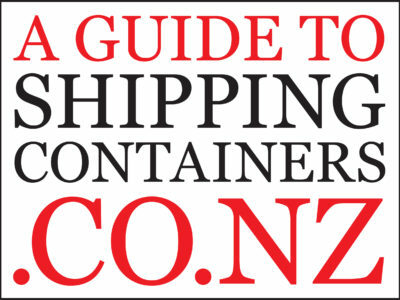 Shipping Containers New Zealand has been set up as the information mecca for anything you need to know about shipping containers in New Zealand. We cover all the different ways to buy, like buying outright and hiring, and the best ways to go about both. We’ve also included the costing differences and pros vs cons – and the most suited container for you. Shipping Containers in New Zealand resellers are also included, so you can find the closest solution to your needs, wherever that may be! Not only have we included the perks of buying versus hiring a shipping container, but we have also included the most comprehensive list on the web of all the different types and sizes of storage and shipping containers you will find. All these containers have difference uses, and they can all be modified in different ways – which we have also detailed in the modification and accessories section of the menu. In this section, you will also find an all-inclusive list of different container homes and pools, and the best way to make and buy them. Next along in the menu you will find expansive knowledge collected from a range of different sources on Self Pack Removals, Shipping Container Shelters and Shipping with Shipping Containers in New Zealand. The aim of our website is to give everyone the chance to have all the information about any question they may have in relation to Shipping Containers in New Zealand. If you have any questions or would like to get in touch, please visit our contact page and drop us a line!